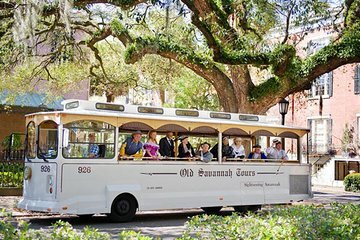 Benefit from combining a trolley tour with a walking tour to see more of Savannah in one day. Your trolley ticket is valid all day, and you can hop off at the stops that interest you, then hop back on the next trolley (they come by about every 15 minutes). In the late afternoon, meet your guide for the walking tour where you learn more about Georgia’s Civil War history.